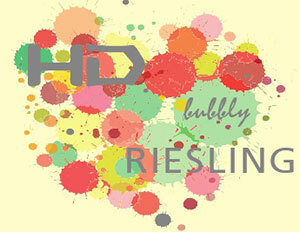 Germans like their bubbles and so the HD Riesling now has a bubbly sister: HD bubbly Riesling. The same precision of flavors, just now even more fun with the bubbles. This sweeter style sparkling Riesling is wonderfully luscious and rich, yet fresh and tingling.